Hi, I’m Emily Robbins, and this site started out as I journaled my quest to teach myself how to blog, including how to create weblogs, comparing wordpress to movable type to typepad to blogger, etc, figuring out customizing blog templates, changing your blogs theme, using plug-ins, blogrolling, etc. It has evolved somewhat into a blogging how-to guide, with tips and tricks for both new and experienced bloggers. The site includes reviews and comparisons of various blogging platforms, my comprehensive list of over 980 wordpress themes to customize the look and feel of your blog, tutorials for solving specific problems, and more. As for me, I’m 43, live in Austin, TX with my amazing fiancé, Brian Kesselring, our black lab Leeloo (RIP Lily – we miss you soooo much! ), and our kitties (Oliver and Maggie). I’m available for hire and have been dominating SEO and all things Internet Marketing since 1996. I can easily create and setup a custom WordPress blog for you that is search engine optimized. I can also implement social media into your blog, including Facebook, Twitter, Google+, Pinterest, Instagram, Tumblr, etc. and I can help manage your social media accounts to best drive traffic to your website. 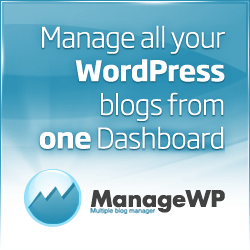 I can also setup WordPress to function as a Content Management System (CMS) rather than looking like a typical blog. I will do keyword research to find the absolute best keyphrases to target to get the most organic traffic to your website. And if you need help finding the best domain for your site, I am your woman (I personally own over 350 generic keyword and brandable domains). You will NOT be disappointed with my work – yes, I really am that good. Having grown up on Long Island, I fled as quickly as possible (which meant college). Went to Middlebury College in Vermont – (class of 93, BA in Mathematics). Loved it there, but felt the need for city living without the rush rush rush of NYC, and my love of computers and mild weather landed me in San Francisco – moved there without even visiting, and loved all 12 years there! I then moved to the Oakland Hills for 3 years – the entire Bay Area is such a great place to live. An abusive marriage left me fleeing to Raleigh, NC for a few years to be near family – which was meant to be because otherwise I’d never have left the Bay Area and met my true soul mate, Brian Kesselring, (who ironically was also from San Francisco & Oakland – we’d lived there during the same 15 years but didn’t meet until we were in NC!!) Brian was in NC for the purposes of custom building his mom’s dream home (and, of course, to meet me!) so once that was accomplished we took off for the utterly fabulous Austin, TX which is by far the BEST place I have ever lived!! Everyone is so friendly, open-minded and laid back, there’s an amazing music and art scene, and Austinites celebrate individuality like I’ve never seen before (the city motto is “Keep Austin Weird” – isn’t that fabulous??) I am here to stay. I feel really blessed b/c the universe has guided me to where I am now and I strongly believe that everything happens for a reason. After working crazy hours as a Software Quality Assurance Engineer for Borland, I ended up with RSI (repetitive strain injury) that put me on disability for over a year, left me with multiple level disc damage in my cervical spine in addition to bilateral ulnar neuritis, and limited the amount of time (especially continual time) that I could spend on the computer. After realizing I didn’t want to stop working with computers, but that I was pretty much unhirable given the amount of breaks I’d need to take throughout the work day, days off I’d need during flare-ups, as well as much frustration with voice recognition software, I finally decided to just dive in and try and make a go of things on my own. Talk about everything happening for a reason!! Now I’m self-employed doing SEO (search engine optimization), Social Media Optimization (SMO), Affiliate Marketing, Domaining, and am the hands-down queen of finding high PPC keywords and doing niche keyword research. I absolutely love the freedom of being my own boss and not wasting time sitting in endless meetings!